We caught up with the legendary Melbourne based, Kate Leeming. 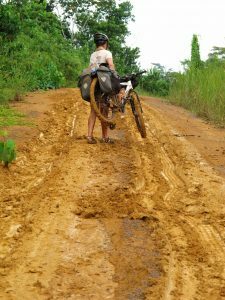 Kate has cycled the equivalent distance of twice around the world on the equator. 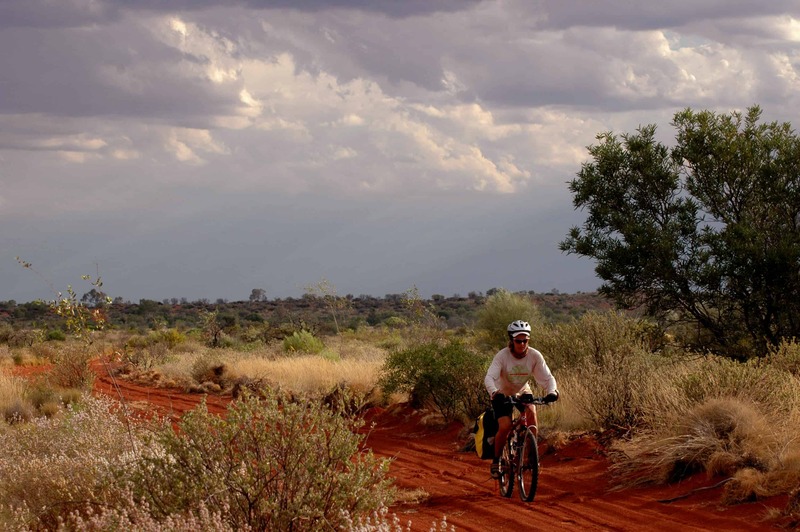 Her expeditions include the Trans-Siberian Cycle Expedition (13,400km from St Petersburg to Vladivostok), the Great Australian Cycle Expedition (25,000km through Australia) and Breaking the Cycle in Africa (22,040km from Senegal to Somalia). 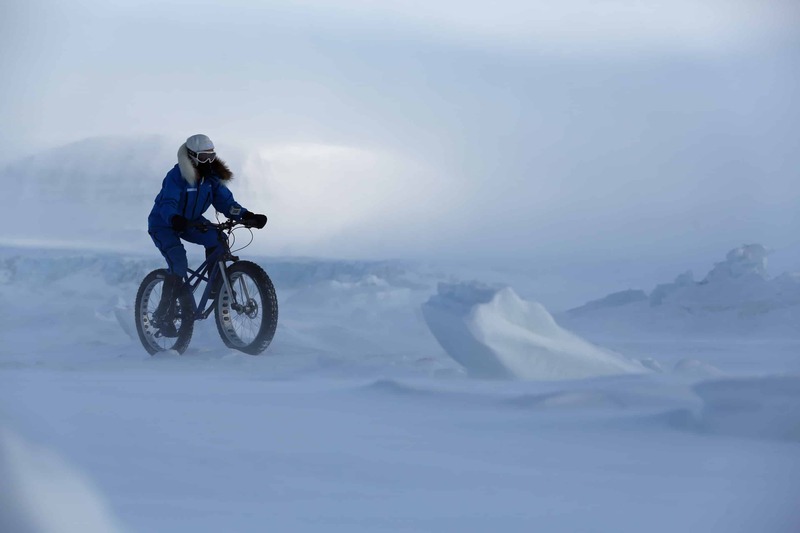 Her latest venture, Breaking the Cycle South Pole, will be a supported attempt to be the first person to cycle across the Antarctic continent via the South Pole. How did you get into adventures and how did you end up on your first ever expedition? I enjoyed cycling for fitness and always dreamed of travelling but never imagined what I could achieve on a bike until after university (I studied for a Bachelor of Physical Education and geography and qualified as a teacher) when I travelled to the UK, initially playing hockey for my university. After the tour I stayed in Europe and it was then that I first tried a short cycle excursion in Ireland. Over the next two years I cycled a total of 15,000km through Europe as my personal exploration, from Spain to Turkey, through to the Nord Kapp, Norway, the most northerly point of mainland Europe. This is where I discovered my passion for travelling by bike. After my Norwegian trip, just as I was starting to plan my first major expedition across Russia, I met polar explorer Robert Swan, OBE, first person in history to have walked to both the North and South poles. It was Robert who inspired me to take it to another level. I learned from him that there was a lot more value to what I was doing than simply riding a bike and ever since then I have always tried to create some sort of benefit for the people I meet and places that I have the privilege of exploring. All your expeditions have been on a bike, why cycling? Travelling by bicycle suited me because I was able to combine my natural interest in geography with various attributes that have enabled me to also be a successful sporting professional – physical and mental strength, ability to focus, self-discipline, persistence, ability to work under pressure and competitiveness. 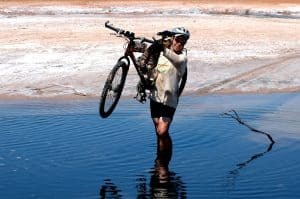 Travelling by bike, I found, gives a close and personal connection with the people and the land and an incredible sense of place; a unique perspective of how the world fits together. I love bringing a line on a map to life. On all your expeditions, what would you say has been the hardest part? I think overcoming the mental hurdles is the most significant challenge – the body will only do what the mind tells it to. My most mentally challenging experiences just about always arise when I am between twenty and forty percent of the way through a long journey. In Africa it was after the first couple of months when I was suffering from regular bouts of gastro and chest infections while spending long days pushing into the teeth of the Harmattan trade winds that whip sand and dust off the Sahara Desert. In Australia it was one third of the way up the Canning Stock Route when I was suffering from the effects of dehydration and was surrounded by seemingly endless sand ridges in the Little Sandy Desert. In Russia it was entering the mosquito-infested wind-swept Siberian Steppe east of the Ural Mountains. In each situation, I am over the excitement of the start and the constant physical stresses begin to overwhelm my mental state. I have never wanted to give up because of my strong motivation to complete each particular journey, my belief in the cause(s) of the projects is deep-rooted and the fear of failure is too great. What’s your trick for getting through difficult days? I have developed many techniques to keep the pedals turning; break the task into manageable, sometimes minute goals, search for the beauty in my surroundings, trap favourite songs in my head, put the perceived dilemma into perspective with the whole undertaking, that is, think of the big picture. It is always important to focus on the question ‘how do I get through’ rather than ‘what will stop me’. 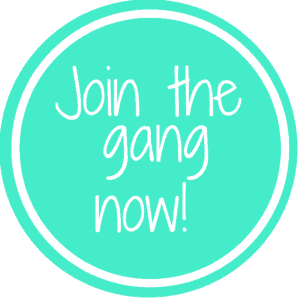 How do you go about organising and getting sponsorship and funding for your expeditions? Making the expedition happen in the first place is the most difficult aspect of my undertakings. And, as my expeditions become more complex and require larger budgets, the journey to reach the start point becomes more arduous. Taking it from the vision and pulling it all together is like conducting a finely-tuned orchestra in a complex musical score. Firstly there is an enormous amount of research to ensure I have a workable and marketable plan. I have to find appropriate team members, search for partners to develop the education and awareness/fundraising programs, develop a schedule that is timed to fit with the various seasons and my work schedule (as a real tennis professional), logistics, budget, a risk mitigation plan, find expedition partners and sponsors, develop and be the face of the public relations campaign, create a filmmaking strategy and try to keep reasonably fit and healthy. With each of my previous expeditions, I have managed by being reasonably good shape at the start (because the organizational phase is so intense just before I set off) as I know I can adapt to the fitness demands in the first few weeks, but for Antarctica I have planned a series of training trips and test runs to ensure I am physically ready, the team is prepared and the equipment and logistics will allow me to go the distance. 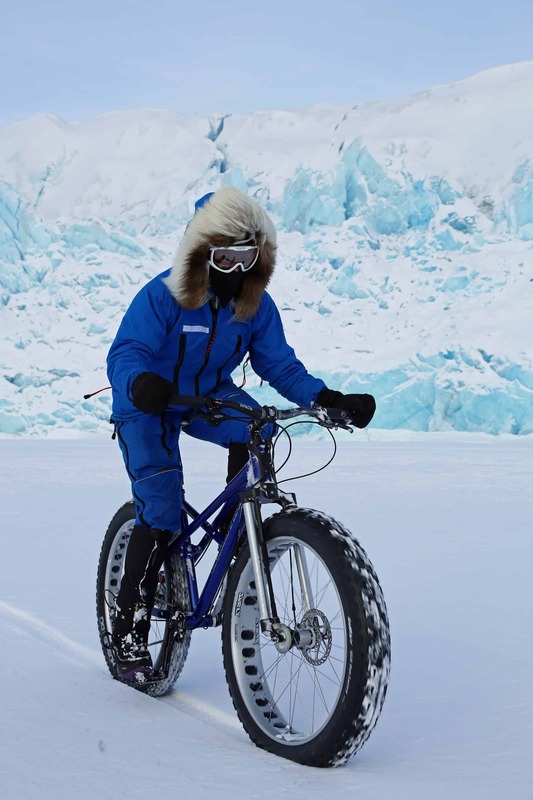 This has meant developing some innovative technology such as the first all-wheel drive fat-bike and custom made clothing. There is no secret to overcoming this stage except extreme hard work, virtually around the clock at times, otherwise it will never happen. By the time I reach the edge of the Antarctic continent at start of Breaking the Cycle South Pole expedition, like with previous ventures, I will be confident of completing my mission. Setting off is always a relief. Don’t be afraid to have a go! As a ten year old I couldn’t have imagined what I could achieve on a bike. So my advice would be to explore to discover my passion. By all means prepare thoroughly, but those plans need to be realistic and adaptable for a successful adventure. Try something small first and see where those first steps can take me. I have a few ideas, some bigger than others, but I first need to see how I feel after completing the Antarctic crossing. At least with my Breaking the Cycle Foundation up and running, I will be able to direct my efforts towards making a difference to my passions for educating tomorrow’s leaders and supporting the people and places that I encounter on my journeys. To find out more about Kate and her expeditions, check out her website or Twitter page.